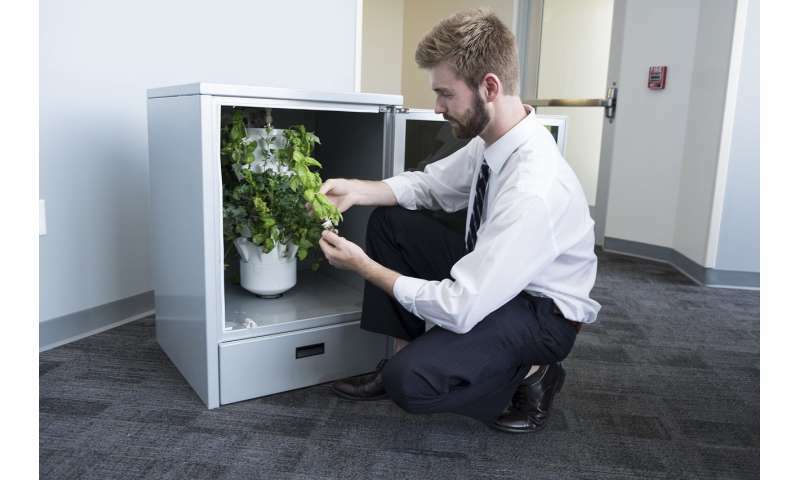 A Purdue University-affiliated startup that seeks to redefine "farm-to-table" when it comes to garden vegetables by delivering its first orders of an appliance that fits under a kitchen counter and grows produce year-round. "It's great for consumers and for the environment," said Scott Massey, CEO of Heliponix. The Heliponix GroPod allows people, even those living in inner cities with no access to land, to create perfect climate conditions so lettuce, spinach and other crops can flourish in their kitchens without using soil. 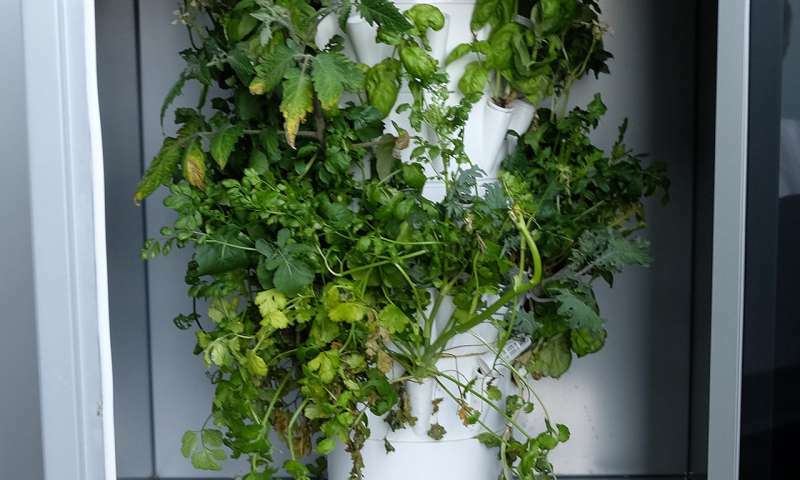 The Gropod uses aeroponics, an efficient form of hydroponics that mists the plant roots rather than submerging the roots in a nutrient reservoir. It also uses targeted light-emitting diodes that give off the optimal light spectrum for photosynthesis. "Each Heliponix GroPod is connected to the internet through IoT software that eliminates the need to know how to farm by automating ideal growing conditions through aeroponics, which uses no pesticides and 95 percent less water than conventional agriculture. You don't need to know how to program software, design hardware, or understand how to farm, the patented design has mastered that form and function," said Ivan Ball, also a Heliponix co-founder. The Heliponix GroPod recently won the Best New Tech Product award from TechPoint, Indiana's technology growth initiative. The GroPod also uses less energy than conventional farming and can grow crops up to three times faster. It also takes up no land and reduces the need for food transportation. The GroPod is self-cleaning and can be taken apart in less than 30 seconds to wash the pieces in their dishwasher. The founders estimate most Americans would save enough money growing their own organic produce that the GroPod could pay for itself in a couple of years. Consumers can rip off a leaf of lettuce while letting the rest of the head to continue to grow, even when it is the dead of winter outside. "You can't get any fresher than this," Massey said. "You never have to throw anything away. We hope this is going to shake things up in the ag world." The Heliponix founders believe the device could be as disruptive to the kitchen as refrigeration, which allowed people to safely store food inside their homes for longer periods without someone delivering ice. The GroPod will allow people to grow fresh food inside their kitchen daily without the need of going to the store. The common theme is the innovation eliminates the perishability of the goods. "The moment you separate a plant from its roots, the nutrients begin to decay exponentially,"Massey said. "By the time it's on display at the grocery store, some of the nutrients are gone. It's amazing what happens when you let nature run its course, and flourish in the Heliponix GroPod." Massey and Ball, both graduates of Purdue's Polytechnic Institute, were introduced to controlled environment agriculture (CEA) on a NASA funded research study to develop life support systems for future space colonies. Inspired by their NASA research, they started a company called Heliponix (formerly Hydro Grow LLC) to commercialize their space-age appliance. The company was funded through business plan competition victories at other universities until Ball and Massey's graduation at Purdue. Since graduating in 2017, they both worked for Heliponix full time. The company has begun selling the first Heliponix GroPod and plans to eventually begin selling refrigerator-sized GroPods. 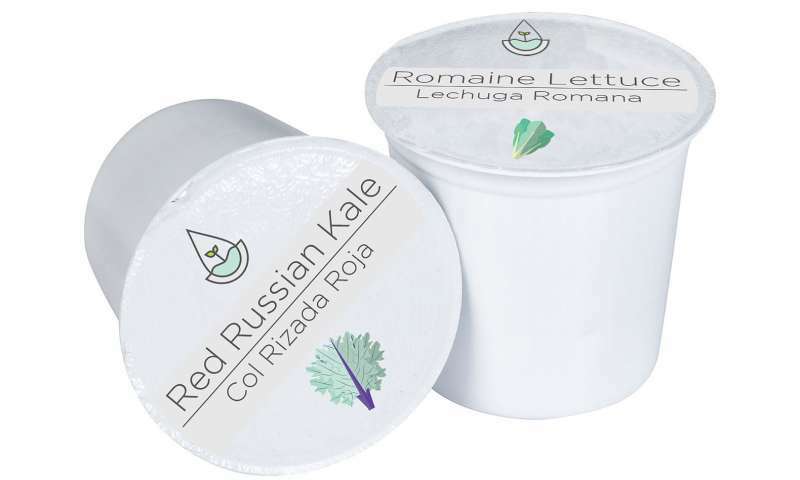 "We chose the name "Heliponix" by combining the word 'helix' with 'hydroponics.' Our goal is to find the most efficient form of agriculture, and that means farming with the least amount of space, energy and water without compromising our commitment to growing the highest quality food. For inspiration we looked to nature, and were influenced by the helix found in DNA segments. Through survival of the fittest, nature has already determined this to be the most efficient shape, and this has been a powerful influence on our work."